What Kind of Gospel Are You Living and Preaching? Sermon delivered on the last Sunday after Trinity A, October 26, 2014, at St. Augustine’s Anglican Church, Columbus, OH. Lectionary texts: Deuteronomy 34.1-12; Psalm 90.1-6, 13-17; 1 Thessalonians 2.1-8; Matthew 22.34-46. This morning I want us to take a hard look at our perceptions of the gospel to see if we think and behave as people who really do have Good News or whether we think and behave like people who grimly go through life trying to live up to a standard that is basically out of our reach but which we try to achieve anyway because we are terrified of what might happen to us if we don’t. This is important to us, not only for our psychological well being but also because each of us is called by our Lord to proclaim the gospel to the world, i.e., to the folks around us with whom we live and interact. What Good News could we offer, for example, to the young woman featured in yesterday’s Dispatch who has terminal brain cancer? In our psalm lesson the psalmist muses about God and humans, observing the eternal nature of God and lamenting the human condition under which we labor as a consequence of our sin and rebellion against God. He wonders out loud how long it will be before God relents, i.e., removes the curse he imposed after the Fall, and shows us his compassion by delivering us from the curse of evil, sin, and death? At first blush we are tempted to say a LONG time because we look around our world and don’t see God’s healing love and redemption occurring on a wide scale. But then again the psalmist reminds us that because God is eternal, what seems like forever to us is but a blink of the eye in God’s eternal perspective and timeline. Neither do we find much apparent relief from Scripture because many stories don’t ostensibly offer us much hope about finding God’s relief. Take our OT lesson for example. Here is Moses, the prophet of God who has seen God face-to-face, at least as much as any human can possibly see God and still live, and what happens to him? He has spent the majority of his adult life trying to lead God’s people to the promised land as God called him to do. But God has denied Moses the opportunity to complete his life’s work. Why? To find the answer to that question we have to look at Numbers 20.2-13. There we learn that Moses failed to trust God to show God’s holiness to his people Israel. And how did Moses do that? He had “helped” God provide water for his grumbling people by striking a rock in the wilderness instead of allowing God to show his gracious power to provide for his ungrateful people unaided. In other words, Moses basically acted like God needed Moses to accomplish his work. Forty years of faithful service were wiped out in one mistake and Moses found himself barred from the promised land. This is one tough Boss to work for and if it went that way for Moses, who knew the Lord face-to-face, most of us break out into a cold sweat as we wonder how it will go for us who don’t come anywhere close to being Moses! There doesn’t appear to be a lot of Good News in that story. Or consider Jesus’ command in our gospel lesson to love God with all of our being and to love our neighbors as ourselves, even those who treat us badly or ignore us. If we are honest with ourselves, we must admit that if this is what it takes to inherit eternal life, we’re toast because our hearts are just too hard and dark for us to be able to fulfill this command. This is not unlike our reaction to the seemingly impossibly high demands contained in Jesus’ sermon on the mount (Matthew 5.1-7.29). Where’s the Good News in trying to follow a set of moral and ethical demands of the Law that we are inherently not equipped to follow? If we care at all about our relationship with God as well as our eternal destiny, we can be hard pressed not to lose all hope and fall into despair because Scripture as well as our own life experiences are full of examples of us failing to hit the mark of living holy lives in accordance with God’s Law. But of course, God’s word in Scripture always invites us to read at a far deeper level than a superficial one, which is what we have just done. So let us go back to these stories and see if we can glean any Good News from them. While it is true that Moses was denied an entrance into the promised land, his people were not. Despite their sin and rebellion against God as they wandered through the wilderness for 40 years, God appointed a new leader to fulfill his promise to them to bring them to the promised land. And what about Moses? Like all of us who are mortal, he was destined to die. But the text here is ambiguous enough to help us think about the fact that it was God himself who buried Moses because no one knows where his grave is. We shouldn’t think God used a shovel to bury Moses, but rather that God brought Moses to himself in a special way and to the hope of an even greater promised land. How do we know this? Because in the gospels we read about Jesus’ Transfiguration in which Moses himself spoke with Jesus about an even greater exodus he was going to accomplish at Jerusalem with his death and resurrection. Moses did not get to enter a temporary promised land because of his sin and the sin of his people. But even that did not separate Moses from God’s love and faithfulness, and the promise of entering a permanently renewed world. But we have to read the whole narrative of Scripture to understand this. Turning now to our gospel lesson, as we have seen over the last several weeks in reading Matthew, Jesus has been trying to help both followers and opponents think about who he truly is and today’s arguments with his opponents are really the culmination of these ongoing disputes. When Jesus asks his opponents about the nature of the Messiah, he is inviting them to see that the Messiah is more than just a son of David, i.e., more than just a human descendent and future king. The Messiah is God’s son, the very embodiment of God who had come not to destroy the ethnic enemies of Israel but rather the real enemies of not only Israel but of all humankind: evil, sin, and death. And how would Jesus destroy those enemies? By going to the cross for us. In doing so, Jesus took all the power of evil and sin on himself to reconcile us to God and transfer us out of the darkness of our sin and into the light of his kingdom. If Jesus was the embodiment of God, which Matthew claimed in his birth narrative (Matthew 1.23), then we see God himself fulfilling his own command to love him with our whole being and others as ourselves. God did this because he knows that by our own power and strength we are unable to do so. Here we see God showing us his holiness just like he did with his people Israel in the desert by fulfilling the righteous demands of the Law on our behalf so that we would not have to engage in Mission Impossible, to do the things we inherently cannot do. And in raising Jesus from the dead, God gave us definitive proof that Jesus is who he claimed to be and that God’s promises to redeem his sin-sick world and its creatures were true and underway. This is the kind of Messiah, rather than a military one or one of our own making, that can change hearts and minds because when we finally understand that on the cross God has done for us what needs to be done so that we can be healed and reconciled to him, it takes us off the hook of trying to earn our way into the promised land of eternal life and new creation. This in turn makes us want to follow Jesus’ example and we have been given the Holy Spirit to help shape us bit by bit, day by day, so that we can gradually leave behind our darkness and hardness of heart for the new reality of love that is characterized in Jesus’ summary of the Law. This, folks, is what the gospel or Good News of Jesus Christ is all about! In Jesus we see God answering the psalmist’s complaint about acting on our behalf to bring relief and release from God’s curse. We are no longer required to hit an impossibly high mark in order for us to enjoy healing and reconciliation with God because God has done that himself on our behalf. This doesn’t mean we are not called to abandon our old selfish ways and replace them with a lifestyle that gives abundant evidence that we love God with all our being and others as ourselves with the help of the Spirit living in us. To the contrary, this is the lifestyle we are invited to live out all our days as Christians. But our entry into the promised land, the new heavens and earth where we will live with new bodies in a completely healed world and directly in God’s presence, is not contingent on our ability to “follow all the rules.” It is by God’s love and grace alone. Living in this reality is why Paul could say what he does in our epistle lesson. Unlike Moses at the waters of Meribah, Paul understood that the gospel is God’s free gift to us because he wants each of us to live and enjoy the life he created us to live. That’s why Paul didn’t have to rely on trickeration or deceit or self-gain as he told people about God’s great love for them lived out in Jesus. To do any of that would have made it about Paul, not Jesus, and Jesus was far too real for Paul for him to do that. That’s why Paul could gladly suffer for Jesus because he knew that his suffering would be transitory whereas life with Jesus would be forever. And this is our challenge as Christians today: to live and preach that gospel. So how are you doing? Is the power of God’s saving love real enough for you to change you so that you want to share it with others in how you speak and act? Too often we allow ourselves to get silenced and cow-towed by our opponents, all in the name of toleration and inclusivity. But do our opponents have the words of life? Will any agenda other than the gospel’s reconcile people to God and assure them of God’s presence in the midst of life’s troubles as well as through all eternity? I’m not talking about advancing some pollyannaish vision where everything is always hunky-dory. Life is not hunky-dory. We live in a broken world where bad things happen on a regular basis and we’ve deluded ourselves into thinking otherwise. Instead, we should be amazed at how so much happens to go right in a good world gone bad! What I am talking about is inviting people to become disciples of Jesus so that they too can tap into his power to help guide them through the storms of life and the promise of a real future and hope that is seen in Jesus’ resurrection and the new creation, a hope just like (hopefully) each one of us has. Only when we live like folks who know we have been given an incalculable gift rather than as folks who must trudge through life engaging in Mission Impossible so that we don’t incur God’s wrath, can we live as people who have Good News, now and for all eternity. My prayer for each of us is that we come to know the amazing love of God the Father made manifest in Jesus the Son and given to us by the Holy Spirit. This is the gospel and hope we should proclaim to any who suffer in body, mind, or spirit (ourselves included) because when we know God intimately enough, we will learn to trust him to use our efforts great and small (as well as our brokenness) to help bring about his kingdom on earth as in heaven. To him be honor, praise, and glory forever and ever. Sermon delivered on Trinity 18A, Sunday, October 19, 2014 at St. Augustine’s Anglican Church, Columbus, OH. Lectionary texts: Exodus 33.12-23; Psalm 99.1-9; 1 Thessalonians 1.1-10; Matthew 22.15-22. It is Sunday and it you watch any television, you know that this is either NFL Sunday or Football Sunday, the games start early and last into the evening. I am not a big sports fan, usually don’t watch the games, but I have noticed an interesting phenomenon. Before each game there is at least one, but many times several, “experts” who provide a commentary or breakdown of what to expect and then following the game, the same experts re-tell what has happened during the game. In both cases we are treated to a review of the plays, the statistics, the players, and the rankings. I would like us to apply this approach to our readings from Today. Let start with the Epistle of 1 Thessalonians. First who are the players. The Letter is sent by Paul and two of his fellow missionaries, Silvanius ( also known as Silas) and Timothy. Paul had originally brought the Gospel to Thessalonica where it was not well received by the Jewish population, but was very well received by the gentiles. Silas had been a fellow missionary with Paul. Timothy seems to be the younger member of the group, but it is he who brings the report to Paul of how that Church was progressing. The Church at Thessalonica is a young church, mostly gentile with some Jewish members, but it has already undergone some persecution. What we have before us today in this the very beginning of Paul’s Letter, an address not unlike a coaches pre-game pep talk. He acknowledges that there have been difficulties in the past but he emphasizes the positive aspects of the team, that despite the persecution they have been faithful, they have been people of full conviction and open to the working of Holy Spirit, imitators not only of Paul but of the Lord their faith in God, was well known not only locally, but in may parts of the known world. They rejected idols and accepted the true God. Statistically there were small in number, they did not have the weight of many of he larger Churches, but the statistics were out-shined by their performance. Paul will end this Letter with some practical advice and guidance on how to deal some problems, not unlike a coach reminding his team of some weaknesses. But mostly Paul is encouraging them to do their best. In review. The Church of Thessalonica would remain an important Church and continue to provide great Christian witness for many years. What can we learn from this reading? That you do not need to be a big church or a well-established church to have a big impact for Christ on the world around you. That when you see others living the Faith with commitment that it is good to encourage and that even where there may be some difficulties, that we need to focus on the positive. Truly the Church of the Thessalonians ranked high in God’s eyes. Next we will turn to the Gospel from Matthew. We know some of the Players. Jesus, of course, the Pharisees we have meet before, they are individuals who see religious justification in ritual purity and practice. The Pharisees had lost to Jesus on several occasions already. In last week’s game, I mean Gospel, Jesus told the story of the King who invited guests to attend a wedding for his son. In that story, Jesus made it clear that the Pharisees had been among those guests, but that they had rejected the invitation. The Pharisees were so mad about this that they got serious about bringing Jesus down, even killing him if necessary. The Herodians who accompanied the Pharisees were supporters of King Herod a puppet ruler and instrument of the Emperor. Not mentioned as a player, but implied, are the everyday folk who hated the empire and its Emperor for the burden of taxes had brought many to utter poverty. The match is played in the Temple. Statistically the Pharisees have not been doing very well and are losing what little fan support they may have had. The Pharisees are noted for their trick plays, and it is just such a play that they try. They ask whether it is right to pay taxes knowing that if Jesus says yes the people will reject him and if he says no the followers of Herod will do their dirty work for them. Jesus asks for a coin. He looks at the coin and asks whose image is on it. The emperor’s is the response. Jesus says to the people to render to God what is God’s and to emperor what belongs to the emperor. The Pharisees might have thought to this as at least a tie, but not so, again the Pharisees have lost. When the Pharisees produced the coin in the Temple they showed that they really did not have respect for the Law because only Temple coins were permitted within the Temple and further they had to acknowledge that the coin had an image on it. Images were also forbidden in the temple. Jesus had shown the Pharisees to be hypocrites. What can we learn from this lesson? Some would say that it indicates a separation from church and state. Others that Jesus was only interested in “spiritual matters.” Neither of these would be true. Jesus understood that all things, whether labeled as belonging to the emperor or not, belong first and foremost to God. Jesus, like the common people, wanted a revolution but not a political one, but rather one of the heart. Jesus believed that if enough people would trust their lives to God that a silent revolution would follow. Indeed as the Christian faith grew there was a transformation of the whole of society. What does this Gospel say to us today? First that we need to see that all of life including ourselves belong to God. Second that while it is all right to disagree with someone, that we must be honest in the way we deal with that disagreement and not be hypocrites ourselves. We must understand that rituals and practices, while they have value, do so only in bringing us closer to God and are not merely formalities. We now turn to the Old Testament Reading from Exodus. This is a continuation of the story of God’s dealing with his people as they are encamped at Mt. Sinai. Last week our favorite commentator, Fr. Kevin, gave us some of the background in which we saw God grudgingly accepting that these were His people but also becoming very displeased with them as they embraced a golden idol. We were challenged to see ourselves as God’s people today. Just before the passage we have shared today, there is a dialogue between Moses and God in which God tells Moses to prepare to leave to go into the promised land, a land that would be flowing with milk and honey – a symbolic way of saying a land of prosperity. God assures Moses that while he will not go with the people that He will provide an Angel to lead them. God says that he will not go with the people because they are a stiff necked and stubborn people and that if He will travel with them He fears that he will become so upset with them that He will destroy them. Statistically, the people that God had chosen were already not doing well. They doubted God at the Red Sea, they griped about a lack of food until God fed them with Manna, and they to add to the insult they had a golden idol created to worship when Moses left them alone for a short time. Looking at the statistics, God had every reason to call them losers, and to wipe them out and start with a whole new team. As for the players, we have, of course, God, then Moses an imperfect, but faithful leader who wants only the best for his people, Aaron called to be a priest of God, but who knuckles under to popular pressure and people of God of which have already been adequately described. Moses is a good quarterback or team captain. When he is Leading, the people will generally follow and do as he asks. Aaron is good support for Moses but at this time in his life a little immature in the faith and easily lead astray. The real action is between Moses and God. Moses knows in his heart that these people can only be led if they know God is with them – an angel will not be enough. Moses is persistent in asking God to be the one who leads them. Finally because of his pleas, God gives in. God however goes even further and grants to Moses the opportunity to experience tangibly the glory that is God’s alone although protecting Moses from seeing the Face of God which would have been too intense an experience of God’s glory and which would have ended Moses’ life.Even after the Lord God agrees to personally lead the people, it still takes them a year before they are able to move. What does this story tell us? It assures us that we can feel comfortable in going to God with our needs, but that we must understand that such prayer must often be persistent and that we can experience the Lord’s presence in our lives that He will not overwhelm us or grant us those things which are hurtful to us.God still leads His People today for Jesus assures us in Matthew Chapter 28 that He will always be with us even to the end of time. In recent weeks, Boko Haram, the Sunni terrorist group in northern Nigeria, has doubled down in its ongoing killing spree, taking the lives of Christians by the hundreds and also declaring an Islamic caliphate in the region, local church leaders report. In April, the group’s kidnapping of 276 girls, mostly Christians, from a school in Chibok drew global outrage. But 219 of those girls are still missing as are hundreds of other abducted children. The group has killed at least 2,000 Nigerians in the first six months of this year, according to Nigerian officials. In total, 650,000 people fled northern Nigeria to escape violence. Some 1,600 Nigerian Christians have died at the hands of Boko Haram and other groups, according to the Jubilee Campaign. This week, at the six-month anniversary of the Chibok kidnappings, rallies have been held in Nigeria, the U.S., and other nations to press Nigeria’s government to do more to rescue the kidnapped girls and suppress Boko Haram. A leading Nigerian evangelical, Samuel Kunhiyop, author of African Christian Ethics,serves as general secretary of Evangelical Church Winning All (ECWA), a 5-million-member denomination in Nigeria. ECWA has been doing frontline evangelism in Nigeria since 1954. In recent years, this group has planted hundreds of congregations in Muslim areas of Nigeria. Kunhiyop spoke with Timothy C. Morgan, CT’s senior editor for global journalism. Is Nigeria as bad as we read in news headlines? It’s even worse. Hundreds of churches have been destroyed, over 50 in Kano alone. One church and ministry has been built seven times and destroyed seven times. Another has been built three times and destroyed three times. Pastors have been murdered in their houses. Another was murdered in the church during a prayer service. 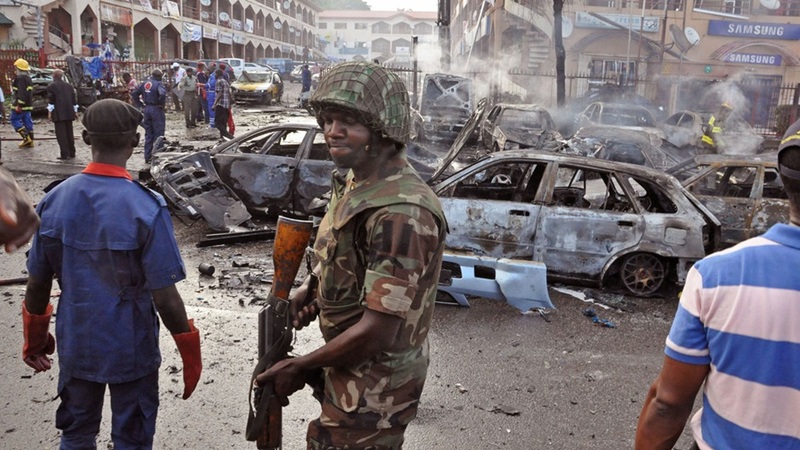 The situation is much worse further north in Yobe and Borno states, the headquarters of Boko Haram. People have fled residences where their forefathers lived for generations. Christians have been the victims. Read the whole interview and pray for these people. Dr. Ben Witherington: Do Matthew 24 or 1 Thess. 4 Refer to the Rapture? As usual, good stuff from BW3. From BW3: There is one slip in this video, namely it’s not Jesus but Paul who is speaking in 1 Thess. 4. Otherwise, see what you think. Worth your time. Herbert was one of my favorite Anglican writers and a model priest. It took about ten seconds for him to get my attention. “It was the spring semester of the academic year, and I was in trouble,” Dr. Ryken began. “Over the course of long weeks that stretched into months, I fell deeper into discouragement, until eventually I wondered whether I had the will to live. I’m talking about me–not somebody else–and I’m talking about last semester.” A hush fell across the chapel. For the next several minutes our president shared briefly about the personal, family, and job-related circumstances that had brought him to a lower point, spiritually and psychologically, than he had ever known. Discouragement does not begin to convey the state of mind that Dr. Ryken related. Depression comes closer, but I think that despair more truly captures the darkness that enveloped him. My own family has been touched multiple times by something akin to what he was describing. My pulse quickened as Dr. Ryken began to share honestly about his struggles. Then my heart began to ache. Then I began to feel the rush of encouragement that comes when God reminds us that we are not alone. More than 280 years after it was damaged in a fire, one of the original copies of the Magna Carta is legible again. Written in 1215, the Magna Carta required the king of England King John to cede absolute power. Today, the Magna Carta is seen as a first step toward constitutional law rather than the hereditary power of royalty. There were four copies of the document created at the time. One, held by the British Library, was badly damaged in a fire in 1731. Now, researchers have used a technique called multispectral imaging to decipher the text of the “Burnt Magna Carta” without touching or further damaging the delicate parchment. 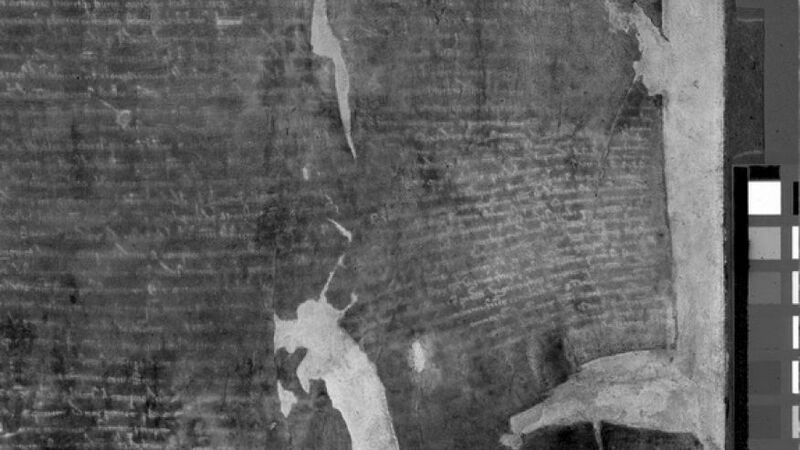 This imaging allowed conservation scientists to take pictures of the document that virtually erase the damage and show details of the parchment and text. Their life is tough and austere by worldly standards, certainly; yet I never met such delightful, happy women, or such an atmosphere of joy as they create. Mother Teresa, as she is fond of explaining, attaches the utmost importance to this joyousness. The poor, she says, deserve not just service and dedication, but also the joy that belongs to human love. This is what the Sisters give them abundantly. Today, notoriously, the religious orders are short of vocations. Nor is the shortage being rectified by permitting nuns to use lipstick, wear mini-habits, and otherwise participate in the ways and amenities of contemporary affluence. The Missionaries of Charity, on the other hand, are multiplying at a fantastic rate. Their Calcutta house is bursting at the seams, and as each new house is opened there are volunteers clamouring to go there. As whole story of Christendom shows, if everything is asked for, everything–and more–will be accorded; if little, then nothing. It is curious, when this is so obvious, that nowadays the contrary proposition should seem the more acceptable, and endeavour be directed towards softening the austerities of the service of Christ and reducing its hazards with a view to attracting people into it. After all, it was in kissing a leper’s hideous sores that St. Francis found the gaiety to captivate the world and gather round him some of the most audacious spirits of the age, to whom he offered only the glory of being naked on the naked earth for Christ’s sake. Spend some time musing on what Muggeridge says here. There is great truth to it. Sermon delivered on Trinity 17A, Sunday, October 12, 2014, at St. Augustine’s Anglican Church, Columbus, OH. Lectionary texts: Exodus 32.1-14; Psalm 106.1-6, 19-23; Philippians 4.1-9; Matthew 22.1-14. All of our lessons this morning get around to asking the same questions. Exactly whose people are we? Our own? God’s? Someone (or something) else’s? Of course Scripture’s consistent answer is that we are God’s. And if that is the case, what is expected of us as people of God? It is the answer to these questions that I want us to look at briefly this morning. In our OT lesson we come to a major turning point in Israel’s wilderness wanderings. Moses has gone up to the mountain to receive God’s commandments for his people. But he is delayed and God’s people get restless. They seem to be confused as to their exact identity. Are they Moses’ people or God’s? They apparently think (mistakenly) that they are Moses’ people because they demand that his brother Aaron make them a god to worship in Moses’ absence and sadly (and quite astonishingly given that Aaron is an ordained priest) he obliges them and makes an image of a golden calf. Moses’ response is quite astonishing (even foolish—who wants to argue with God when he is whipping up his wrath?). Moses reminds God that Israel is not his people, they are God’s people and it was God who delivered them out of their slavery in Egypt. Moses then appeals to the covenant God made with the patriarchs to make a people (Israel) for himself and to give them the promised land so that they could become beacons of God’s light and love to bring his healing to a sin-sick world. God, of course, could not be unfaithful to his covenant with his people and so God relented. More accurately, the actual Hebrew says that God changed his mind or repented! Imagine that. Here we see an act of sheer grace on God’s part as he spares his people after they violated the Prime Directive of worshiping no God than the one Lord. But we miss one of the main points of the story if we focus on God’s grace instead of looking at what is required of us if we are to be God’s people. Clearly the writer of Exodus wants us to see that Israel was not Moses’ people but God’s. It was God who rescued them from their slavery and delivered them out of pharaoh’s hands. But God rescued them so that they could be his people to fulfill their part of the covenant agreement God made with Abraham to bring his healing love and blessing to a broken and hurting world (Genesis 12.1-3, 15.1-5). To do that meant that God’s people had to be and act differently than the rest of the world’s people. First and foremost it meant that they could not worship false gods or idols like most of the people around them did because we become what we worship. They had to worship the one true and living God so that they could get to know him and be shaped by him so that God could use them to be a blessing to others. Almost 3500 years later the same challenge remains for us as God’s people in Jesus our Lord. With privilege comes the awesome responsibility to be God’s light and salt to his broken world. And like God’s people Israel who wandered in the desert in search of their true identity, so we as Christians wander in our 21st century deserts in search of our true identity in Christ. We have been rescued from our slavery to sin and death and reconciled once and for all to our Creator in and through the blood of Christ shed for us. But do we really believe that? Some of us don’t because we simply cannot believe God is that merciful, choosing instead to believe a false stereotype of a God who is vengeful and angry, a stereotype that is derived from misreading stories like our OT lesson. Others of us want the rewards and benefits of being saved but we don’t want the attendant responsibilities. And so we fashion our own idols and worship them instead of the one true and holy God: Father, Son, and Holy Spirit. This is a serious problem, folks! Not only for us, but for the world to whom we are called to witness because when we act and think in these false ways we rob ourselves and others of the real Good News of God’s salvation in Jesus Christ with its promise to heal and redeem his broken world and its creatures. If we understand the identity issue that our OT lesson raises for us, we are ready to hear Jesus’ parable in our gospel lesson this morning because it echoes what’s going on in our OT lesson. Jesus, of course, is debating his opponents in Jerusalem, the same opponents who will bring about his death on the cross. Characteristically, he uses a parable to castigate them for not receiving him as God’s Messiah despite the many warnings of the prophets and God’s continual invitation to them to be the people he called them to be. And here Jesus issues an equally chilling warning to them (and us) that their time is about up and there will be no more chances to be part of the Son’s (Jesus’) wedding banquet. Notice Jesus is addressing the same issue of Israel’s identity that is raised in Exodus. Jesus is the Messiah and it is only by following him that we become true Israelites so that God can use us to bring his healing to the world. But Jesus’ opponents would have nothing to do with that and they were thus calling down judgment on themselves. But now the parable gets even more, um, interesting because Jesus tells us that God will invite all sorts of folks to be part of the Son’s wedding banquet, even those who are outside Israel! At first blush we are all about that because Jesus is telling us that one and all are invited to the banquet and we dare hope that even we might be invited! And of course, Jesus always meets us where we are, no matter what kind of spiritual or moral shape we are in. But thanks be to God that Jesus loves us enough not to leave us where we are and this is the point of the second part of the parable. The man who was not dressed in proper attire, i.e., who was not willing to act appropriately at the banquet, was thrown out and this ought to make sense to us. What if we were invited to dine with the president at the White House? Would we dress in our worst clothing and act in rude and boorish ways? Of course not! We’d put on our best clothes and be on our best behavior and this is the point Jesus is making here. Being invited to his wedding banquet is a great honor. It means that we are rescued from sin and death and are invited to join him in celebrating his glorious new creation future that is about total and complete healing and eternal life! What could possibly be better or more important in life? But we are called to the banquet with the expectation that we act accordingly, just like we would if we dined at the White House, because we are called to be Jesus’ light and salt to the world (cf. Matthew 5.1-16). And to be Jesus’ light and salt to the world, we have to imitate him in our character and actions. If we are unwilling to do this, like Jesus’ opponents, we effectively decline God’s invitation to join in his great feast and bring judgment on ourselves. Again, this should make sense to us if we understand that when we become like Jesus in our character and actions, we are healed. Think, for example, what happened when sick people came to Jesus. He didn’t tell them they were all right as they were. He healed them! Likewise with tax collectors and prostitutes. He didn’t tell them they were all right just as they were. He invited them to follow him so that he could heal them. To be sure, Jesus loves child molesters and terrorists and ruthless business people. And yes, even you and me. But he loves us enough not to want to leave us where we are because if we do not change, we cannot stay at the banquet and he wants us to stay! Think about it. In the new creation do you want to live for an eternity with evil and evil people, yourself included? God’s judgment is a terrible thing. But part of the point of judgment is to bring healing and justice to a badly broken world. So when we are called to the Son’s wedding banquet we are forgiven and called to change, to come and die, so that we too can become like the Son and act like we belong there. So how do we do that? It right about here that I need to speak a word to those of you who struggle to believe that God really has rescued you in and through the blood of Jesus because like David, you know your transgressions and your sin is ever before you. Part of being a Christian and living our lives with joy and power and purpose is to accept the grace of God offered us. At one level it literally is unbelievable. But if we don’t accept it, we open ourselves up to despair and being picked off by the dark powers and principalities. That is why it is absolutely crucial that we appropriate the gift of salvation offered freely to each of us irrespective of who we are or what we have done, and here Paul has a word for us in our epistle lesson. If we do not want our life to be a field of weeds that is filled with darkness and despair and hopelessness and idol worship, we have to sow lots of healthy grass and flowers so that the weeds do not have a chance to sprout and take root. How do we do that? Paul tells us. We are to rejoice always. By that, Paul doesn’t mean we put on a happy face when everything is crashing down around us, but rather to hold public celebrations over the fact that we are Jesus’ people who have been bought with the price of his own dear blood and whose future is resurrection and new creation. We do that, of course, every week in worship when we participate in a foretaste of the Son’s wedding banquet by coming to his table to feed on his body and blood. Next, Paul tells us we are not to worry about anything. Why? Because the Lord is near! Therefore we can bring our hurts and sorrows as well as our joys and thanksgiving to God in prayer through Jesus our great Mediator. “That’s baloney,” you scoff. “Life’s tough and it is naive to say to us not to worry about anything. There’s plenty in my life to worry about.” All true. But here’s where Paul is eminently practical in his advice because he uses the Greek verb logizomai again. Do the math, he says. Think about all that God has done for you. Remind yourself that he is near. Say to yourself that you are rescued by the blood of the Lamb and keep repeating it until you believe it! Think about the good things in life and the goodness of God’s creation. Focus on those things. Doing so will help you counter the darkness you hear or experience in your daily living. Do these things and the Holy Spirit who lives in you will honor your work and change you so that you will indeed develop the character and actions that are befitting of the Son’s banquet. We’ve been offered the gracious invitation to participate in the most wonderful of feasts. We are no more worthy to be invited than most of us are worthy by worldly standards to be invited to dine at the White House. But invited we are and doing these things will show everyone involved, God included, that we really are thankful for and covet our invitation to feast in the new creation. It’s hard work, but it’s the most rewarding work in which we will ever partake because we are living out our identity as God’s chosen people in Christ to embody his healing love to others. Only then will we discover that we really do have Good News, now and for all eternity. To him be honor, praise, and glory forever and ever. Watch it all and get educated and edified. There is another reason why I stand there [by the door]. But would like to run away. So for them, too, I stand by the door.